Home should be one of the safest, if not the safest, places around for man, woman, and child. Of course, that is not always a true statement. Sometimes a home can be uncomfortable despite the attempts to make it “homey” and welcoming. One of the reasons it may not be lies in one word: allergies. 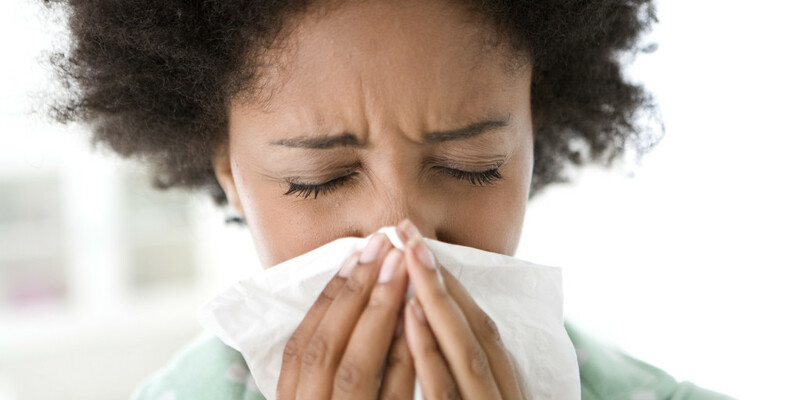 Allergies are caused by allergens, which are impurities present in the air. Allergens are substances which cause a hypersensitive reaction in the lungs and other parts of the body. The body’s own natural defense mechanism, the immune system, causes this hypersensitive reaction by attacking harmless substances (such as pollen, molds, or dust) mistaking them for harmful substances (like viruses or bacteria). The immune system releases several chemicals to destroy these “so-called” enemies and the chemicals cause some very distressful symptoms. There are multiple and varied substances that can trigger an allergic reaction in many people. These allergens are present in the home and outside, as well, for example: animal dander and secretions, dust mites, cockroaches, molds, some medicines, and some foods. Then there others which are called irritants (which do not involve the autoimmune system) but do cause allergic reactions in the individual. These are also inside and outside, for example: tobacco smoke, strong odors such as paint fumes and gasoline; pollution; cosmetics and fragrances; and cleaning solutions and detergents. Any individual who experiences a allergic reaction that continues on a regular basis should try to discover the cause of the reaction. Some allergy symptoms are as follows: a runny nose, itchy, watery eyes, coughing and sneezing, and skin rashes. The individual needs to discover what is causing the reaction. The individual’s primary care doctor may refer the person to an allergist who will perform tests in order to discover what allergens or irritants affect the person; the allergist will educate the individual in managing allergies and avoiding the triggers; the allergist may prescribe medications to treat the allergies; and an allergist may treat the individual with immunotherapy (allergy shots). Once the allergy triggers are identified, the individual can begin eliminating some of those triggers from his/her home. Some of the steps to take will involve a routine of house cleaning, getting rid of heavy drapery and maintaining wooden floors, vacuuming and mopping with natural cleansers. Since dust mites are a huge problem, just cleaning the house and getting rid of stuffed toys, old carpet and drapery will not be sufficient. Also necessary will be the weekly laundering of bed linens in hot temperatures and using encasement covers on the mattress, bedsprings, and pillows. Other steps to take: do not allow any smoking in the home; do not own pets; remove any traces of dampness in the house that may be causing mold, repairing leaks if necessary and getting rid of any unused damp rags or building materials; use only non-allergenic detergents and soaps; tightly seal any paint cans and keep outdoors; if roaches infest the home, hire an exterminator, keep foods put up, counters clean, and garbage outside; and determine to maintain the home’s cleanliness. A wise investment would be an air purifier which would rid the home of many impurities including: dust, pet dander, smoke, pollen and other allergens. The air quality would greatly improve decreasing the frequency of allergic reactions. With taking these steps, the individual will be pleased to see the results of controlling allergens in the home. Allergy symptoms will be reduced, the individual will definitely sleep better, breathe better, and feel better; he or she may need less allergy medications; and there will be much lower risks of contracting long term health complications such as sinusitis. Once learning how to control allergens in the home, the person will finally feel really at home.